In my colleague Carol Hoffman’s blog post from last summer, we shared how one of our grantees introduced us to the work of Carol Dweck, Ph.D. and her influential book Mindset, The New Psychology of Success. Published in 2006, the book captured the attention of educators, employers, parents and others interested in the idea of realizing one’s full potential. On the flipside, an individual with a growth mindset believes that their potential was not dictated at birth but rather is something that they can cultivate and expand through “hard work, strategies and lots of help from mentors…” Growth mindset thrives on curiosity and challenges. This twofold concept of fixed and growth mindsets seems straightforward, right? If you want to reach your potential, adopt a growth mindset. Unfortunately, since the publication of her book, Dr. Dweck started noticing the misapplication and misunderstanding of her mindset concept, which is where I’d like to pick up. In Dweck’s mind, and demonstrated through her research, effort is not enough. Effort + the process is what matters. This is where implementation and the way learning is approached takes a front seat to mere effort. Creating a safe environment for a student, or an employee, or an athlete, where failure and achievement are viewed through the lens of a journey, is key. In a truly functioning growth mindset, mistakes, obstacles and setbacks are not viewed as failures but opportunities for examination, strategizing and succeeding. Creating those opportunities for youth or any other person is challenging since we are all shaped by a mixture of growth and fixed mindsets. When we don’t or won’t take the time to do a deep dive into our own fixed positions around facing challenges, it can be hard for us to impart a growth mindset in our work and our relationships…no matter how much we declare ourselves to have a growth mindset. 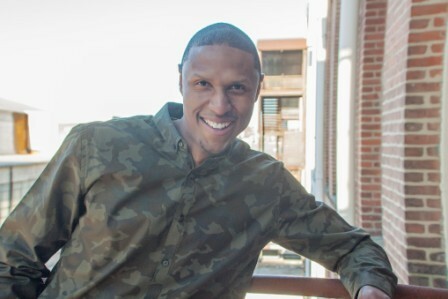 Earlier this year I introduced you all to my friend and colleague, Sadiq Ali, Director of Maryland MENTOR (for which I am a board member and the Knott Foundation is a funder). At that time, Sadiq was busy hosting “good old-fashioned town halls” with mentoring programs across Maryland – all the way from Allegany to Anne Arundel! Maryland MENTOR is in its first year of operation, so this process was instrumental in helping inform the organization’s future direction. Fifteen town halls, 200 attendees, and 100 pizzas later, the culmination of Sadiq’s listening tour is encapsulated in Upholding the Covenant: The State of Mentoring in Maryland 2018. This statement gets to the heart of why mentoring programs exist: because no one can do it alone. We all need advice, emotional support, resources, social connections, and exposure to a world beyond our own to be the most successful people we can be. And when mentors provide that for our youth, great things happen. I want to be clear, however, that this report isn’t a manifesto on the value of mentoring. Instead, it takes a deeper look at what mentoring organizations look like in our state, who they’re serving, their strengths, and the types of support they need. It also presents recommendations for how all stakeholders, Maryland MENTOR, public and private funders, mentoring organizations, education systems, and the corporate community can help. 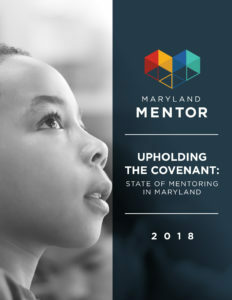 In this way, Upholding the Covenant is one of the most comprehensive efforts to map the work of Maryland mentoring program providers and provide recommendations for better supporting them. One of my favorite features of the report is how it paints a picture for each region of our state, so you can find out the challenges folks are facing in Baltimore City, the types of programs that exist in Northern Maryland, or the strengths of the work organizations are doing on the Eastern Shore. This not only customizes your data consumption to the area you’re working in, it also supports the idea that different communities have different landscapes. If you’ve had a mentor in your life, or if you’re mentoring someone now, I hope you’ll take a moment to pick up this report and learn more about what’s happening in the world of mentoring in Maryland and how we all can help support the mentoring community. 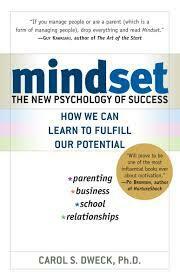 What We’re Reading: Mindset, The New Psychology of Success by Carol S. Dweck, Ph.D. While sitting down recently with one of our grantees, they told us about this amazing book, and how they were going to introduce it as a way to frame their work with youth in their afterschool program. The book, Mindset by Carol S. Dweck, demonstrates the power of people’s beliefs and how your success at work, school, sports or in any other phase of your life can be vividly influenced by how you think about your own talents and abilities. Dweck calls these two types of mindsets fixed and growth. First, let’s talk about a person with a fixed mindset. If you have a fixed mindset, you believe you’re either good or not good at what you do or what you want to accomplish in life, because that’s who you are. You believe your basic qualities, like intelligence or talent, are simply fixed traits. This type of mindset is the most common and also the most harmful to a person. For example, when a fixed mindset student enters high school, their grades tend to decline, and they blame their teachers or other students for their failures in order to protect their own egos. The student with a fixed mindset needs to learn that through failure, you can find success. A person with a fixed mindset hears the saying, “Nothing ventured, nothing gained,” and to them it means, “Nothing ventured, nothing lost.” The same goes for an athlete. You can be a natural born athlete, but if your mindset is not in the right place and you don’t push yourself to be the best that you can be, in the end you fail. In a fixed mindset, intelligence is stationary and leads to a desire to look smart. But a person with this mindset has a tendency to avoid challenges, and sometimes they just give up all together and never reach their full potential or ability. Now let’s look at a person with a growth mindset. This person believes they can be good at anything, once they put their mind and actions first and foremost. A person with a growth mindset feels that they learn by their mistakes, that their own failures are only temporary setbacks – and consequently they try harder. A student with a growth mindset believes anyone can learn, and they tend to lead a more successful life. If they get a grade below what they think it should be, they find out where they went wrong, and they confront the challenge, and keep working toward a better outcome next time. An athlete with a growth mindset who makes a huge mistake in a game doesn’t dwell on it, but instead realizes their mistake, rights their wrong, and uses the experience to be a better player and better person in the future. In a growth mindset, intelligence grows. This leads to a desire to learn more, embrace challenges, forge ahead after a setback, and then reach a higher level of success. In the end we all have our own life journey, and it starts by accepting that we all have both mindsets. Our job is to identify what triggers our fixed or our growth mindset. Dweck tells us you do have a choice. Mindsets are powerful beliefs, but you can always change your own mind. Choosing a growth mindset, therefore, is ultimately what Dweck argues will determine your success in life, more than grit or resilience. 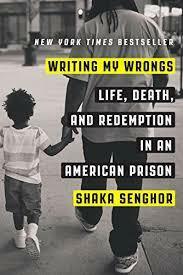 I’m looking forward to hearing from our grantee about how this book influences their work with youth in Baltimore City. I recently caught up with Sadiq Ali, the founding director of our state’s new national mentoring affiliate, Maryland MENTOR. Its mission is to fuel the quality and quantity of mentoring relationships for Maryland’s young people and to close the mentoring gap. Given the Knott Foundation’s interest in supporting the mentorship of older youth in out-of-school time programs through our BOOST initiative, Sadiq’s perspective and work in the field is both relevant and timely. Tell me about yourself and what attracted you to lead Maryland’s new mentoring affiliate. On a spiritual level, I believe that when something is chosen for you, nothing can keep you from it. And likewise, when something’s not meant for you, it doesn’t matter how clear the path is towards that thing, it still is not for you. I believe this role was really meant for me. Each person’s “sweet spot” is where passion meets ability. For me, I’ve always had a passion for supporting young people and seeing them do their absolute best. Of all the resources that we have available to us, I believe that people – our human capital – is what makes everything else go. If we invest in that, everything else takes care of itself. This role was the perfect meshing of my skills and passions, in the sense that I’ve always thought of myself as a people developer, and Maryland MENTOR is coaching people and organizations to work better with young people. Also, coming from a situation where I was an entrepreneur (Sadiq founded and led a training and leadership development organization for six years), the opportunity to build this affiliate to become effective and impactful throughout the state was attractive to me because the entire path isn’t necessarily laid out. Who in your own life stands out as a mentor, and what qualities made that person a good mentor? My first mentors really came into my life when I was in middle school. I’ll never forget them. Mr. Shabazz, Mr. Phillips, and Mr. Alfred. They started an all-boys after-school program at my middle school in Prince George’s County. 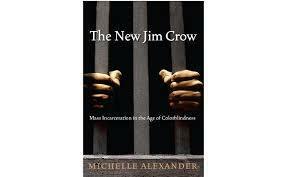 The name of the program was Umoja, which is Swahili for unity. The program was all about us being unified as a school, learning about our African heritage, and learning about leadership. I’m actually still in contact with these gentlemen today. Two of the biggest characteristics my mentors brought to bear when they were with us every day were, first, they exposed us to new things. Opening the eyes and minds of young people so they can go explore what might be of interest to them is so important. Second, they listened very, very well without judging. This is critical for mentors. Too many times we judge young people for decisions that they’re making when they’re doing the best they can with what they have. You have to listen without judgement, while still offering feedback and support. The mentors that I had in my life early on absolutely did these things. How many states have a national mentoring affiliate, and what resources does it bring to bear? Twenty-six states have a mentoring affiliate right now, and there are plans in place to bring on another three or four by the end of this year. I think Maryland was the 25th affiliate, Georgia came after us, and DC and Greater Milwaukee are following closely on our heels. The number one resource these affiliates offer is bringing best practices for mentoring to all of the different mentoring programs across a service area. We’re tied into this national network, which allows us to hear the best of what really high performing programs are doing across the country, and bring that information back to our own state’s mentoring programs. For example, we have the Elements of Effective Practice, which are six standards that are evidence and research-based that every mentoring program should have familiarity with. But if you’re operating in a silo, you don’t have the benefit of that information. We unify the mentoring ecosystem in our service area by bringing these best practices, training opportunities, and consulting to mentoring organizations. Why is mentoring so important for youth, especially youth coming from disadvantaged circumstances? First and foremost, I’ll say that mentoring is too often seen as just being of great benefit to young people from disadvantaged backgrounds. This is one thing that I’m really working to shift the paradigm on. Mentoring – and I want to this make really, really clear – mentoring benefits all young people across the board. Absolutely there are more challenges for our young people coming from areas of high crime and poverty, but every young person can benefit from a mentor. The reason is that no young person, even those who come from families of means, gets out of making tough decisions and choices in life. I strongly believe that young people can’t be what they can’t see. Mentors not only allow young people to be exposed to a caring and thoughtful adult, but if that mentor’s effective, a young person is exposed to a variety of things, a variety of people, and a variety of environments. And that exposure can set them off on a course that they might not have discovered on their own. What are some of the “big opportunities” you’re hoping to capitalize on in Maryland’s mentoring sector? First of all, there is a communication gap – a big, wide communication gap. Many of our programs that have been operating for all lengths of time – newer programs to some more mature programs – simply aren’t aware of some of the resources that are available to them. That’s been one of our key focuses early on, creating an email, social media, and communications strategy to connect folks to different resources. For example, there’s a national mentoring summit that takes place annually in DC. This past January was the eighth one. It was my first month on the job, so when I came back from the summit and was talking to organizations here in Maryland for the first time, I’d say, “Wow, I wish you’d been there!” And they would literally say, “What summit?” We’re talking about a conference with over 1,000 folks from across the country, all involved in mentoring in some way, shape or fashion, with hundreds of workshops by youth development experts. If an organization had sent a representative to that program, they would’ve filled their cup for an entire year. And they didn’t even know about it. The other gap is around exposure to best practices, such as the Elements of Effective Practice I talked about earlier. There are tons of programs doing excellent work, and doing the best they can, that are operating without the best information available. That’s a huge opportunity for us to be out in the community and present it to them as a way to tighten their programs even more, and potentially have an even greater impact on the young people they’re already working with. Any common themes that you’re hearing from mentoring organizations in Baltimore regarding their biggest needs and challenges? Probably the top three themes would be mentor recruitment, fundraising, and parent/community engagement. For mentor recruitment, we’re immediately directing programs to resources around creating segmented mentor recruitment strategies. This has been one of the big concepts that we’ve introduced so far to the ecosystem, that you can’t have a one-size-fits-all mentor recruitment strategy. If you want more black men, there has to be a segmented strategy for that. If you want more professional women, more seniors, or more college students – each one of these requires a different strategy. The last one would be parent/community engagement. The question here is, how can we get holistic support from each young person’s network? We’ll definitely be rolling out some more resources along those lines in the near future. Tell me about some of the connections you’ve made in the community since coming on board. We’ve connected to the Mayor’s Office, both in Human Services and their new Office of African American Male Engagement. We’ve also had the opportunity to attend the Mayor’s call to action meetings around holistic strategies for violence reduction in the city, where mentoring is a critical component. I’ve been named to MBK (My Brother’s Keeper) Baltimore’s Board of Directors, as they work to develop a citywide strategy to pursue MBK’s Community Challenge Competition to improve life outcomes for boys and men of color. And lastly, we’ve made great connections with the 24 local management boards for children, youth, and families, as well as the Governor’s Office for Children. What accomplishment are you most proud of in your first 90 days at Maryland MENTOR? What are you most looking forward to in the year ahead? There are several accomplishments. Getting our website up was a big undertaking. Scheduling town hall meetings – that’s been a big one. We’ve scheduled 14 different mentoring town halls across the state. We’re so excited to get the feedback from programs about how we can do the best job supporting them. And lastly, getting our training and consulting cadre in place. We have eight consultants who are experts in the mentoring field and are ready right now to start working with programs across the state in raising their standards. In the year ahead, I’m excited about expanding our team. As we’ve made more of a mark and folks are aware that we exist, we’re getting more requests for services and support, which means this can’t be a one or two person operation. We were actually just approved for a second AmeriCorps VISTA and we’re searching for an intern right now to help with a couple projects we have in the hopper. I’m also excited to be talking to the Mayor’s Office about a major citywide mentor recruitment campaign. That’s all I can say right now about that! As we’ve discussed in the past, the Knott Foundation’s BOOST initiative underscores our interest in supporting OST programs that mentor older youth. Any words of advice as we continue down that path? Earlier this week we sent a Maryland delegation to the Charles Stewart Mott Foundation’s 50-state afterschool network conference. A lot of folks we met at the conference were really intrigued by the purposeful collaboration between the mentoring ecosystem and the out-of-school-time ecosystem here in Maryland; in other words, how do we integrate more local mentoring programs into the out-of-school time space? Even our MSDE representative who was part of the delegation was talking about the possibility of linking funding for OST programs to relationships with mentoring programs. That could be a tremendous BOOST (pardon the pun) to the work both Maryland MENTOR and Knott are already doing. In terms of words of advice, this speaks to the fact that we have to be purposeful about our collaborations – seek them out where we have shared values and outcomes. First, I’d like to share that I’m excited to be in this role because one of my beliefs is that we don’t choose this work, it chooses us. Anything that involves supporting another human being in the active pursuit of their goals or that improves the world, that work chooses us. Second, it remains our collective responsibility to support those who support others. More than 50 years ago the War on Poverty was launched by then President Lyndon B. Johnson to “not only relieve the symptom of poverty, but to cure it and, above all, prevent it.” What has followed, however, has not eradicated or prevented poverty but, in the words of the author, merely made the condition of poverty tolerable. Born to a single mother who came to the U.S. from Mexico to make a better life for her family, the author’s mother, Berta, worked tirelessly to build opportunities for her two children to live the American dream. And yet, as hard as she worked, Miller saw his mother’s efforts discounted and her worth diminished by people and programs that viewed her and others like her as weak, incapable, and in need of prescriptive forms of charity. In The Alternative, Miller argues that the current state of philanthropy and the nonprofits it funds is based on a flawed premise that poor families are helpless and incapable of making the necessary choices to move themselves out of poverty without the assistance of an “expert” guiding, or in some cases dictating, the way. What has resulted is a largely paternalistic system of programs that fail to recognize the grit, creativity, interests, work ethic and desire for self-determination of the poor. Running alongside of these programs is a system of federal policies that, while helpful in moments of crisis, do little to move and stabilize the poor once they make their way out of poverty and into what can be arguably worse – the world of the working-poor. 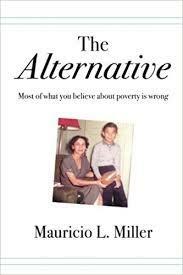 Miller’s book does a great job of providing qualitative and quantitative data to demonstrate his argument and builds an eloquent case for flipping the script using his life experiences as the child of an immigrant, a leader of “paternalistic” nonprofits, and the founder of the Family Independence Initiative (FII). FII is dedicated to ending the cycle of poverty by relying upon the expertise of the poor to create their own solutions; rather than leading with degreed expertise, it chooses to follow and reward the ingenuity and hard work that the poor are already doing to move and maintain themselves out of poverty. The book highlights that while poverty is often painted as a permanent (and sometimes welcome) state, in reality, 75% of low-income families move themselves out of poverty in four years or less. But 50% find themselves below the poverty line again within five years. The author points out that this constant cycling has more to do with a lack of access to networks and meaningful resources than laziness and an unwillingness to work. While the path out of poverty is not a linear one, Miller argues that it is a path well-travelled by those in the middle and upper classes, because it is based upon networks. The work of FII and the premise behind The Alternative is to provide the poor with access to networks to create their own solutions to their own challenges. In fact, the work of FII is so focused on the self-determination of their clients that if an FII employee is identified as offering help, no matter how small, they are fired! The goal of the program and this “alternative” approach is to put the power in the hands of the poor; to invest in the work they are already doing and let them lead the way. By flipping the traditional anti-poverty script, Miller’s FII is showing some very intriguing results. For example, a $2,400 investment in a family over two years, either through matches towards documented savings or scholarships towards school, yields 2.4 times more in average income and 2.1 times growth in assets. When Miller was running a workforce development nonprofit, he would invest far more money per client with a much lower yield rate in terms of income earned and assets accumulated. The Alternative is chock full of food for thought when it comes to thinking about poverty, philanthropy and the human condition. Its emphasis on promoting self-determination and trust as a platform for poverty eradication over traditional models of support that in many ways promote dependence and distrust is a fascinating and hopeful read. Although I am not a military strategist, it seems that after over fifty years of a particular strategy, it might be time to consider this Alternative if we really want to win the war. My colleague (and voracious reader/information gatherer) Kathleen McCarthy often sends me interesting articles from the field. In this post I’d like to highlight two such articles from The Atlantic that I found to be of particular value, and that greatly impacted my understanding of how we can help our young people grow up to be productive, happy adults. The first article is “The Activity Gap” by Alia Wong. 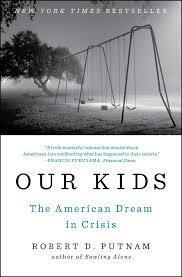 We read it last summer while conducting research into out-of-school time programs for our BOOST initiative. The article examines the growing divide between the “haves” and “have-nots” in terms of how youth spend their time in the afterschool hours. Wong begins by painting a picture of Ethan and Nicole – two young people living in Austin – whose lives take dramatically different trajectories because of the world they grew up in. Their stories are real and link to the findings of a national study published by Brown University’s Annenberg Institute for School Reform, which shows extracurricular participation is becoming an upper class privilege. It seems more and more afterschool activities these days require parents to have “flexible work schedules, comfortable financial situations, and commitment to their children’s social and intellectual development.” Sadly, this means more and more poor kids are being left on the sidelines. Wong acknowledges that some might question paying so much attention to afterschool hours, given the problems that face schools themselves. Yet the data tells a convincing story for why afterschool matters. Kids spend more time out of school than they do in school; in fact, 80% of a young person’s life is spent outside of the school day and academic year (Child Trends, 2012). It follows that out-of-school hours are ripe for reaching kids and exposing them to new opportunities, sustaining or strengthening their academic skills, and fostering important relationships and social skills integral to their success in life. In the second article, “Why Do Some Poor Kids Thrive?” by Alana Semuels, the data and stories hit much closer to home, with the research coming directly out of Baltimore. Relating the journey from adolescence into adulthood, the article highlights research from the book Coming of Age in the Other America (DeLuca, Clampet-Lundquist, and Edin, 2016). The crux of the story is this: even kids who exhibit a lot of potential and are excelling academically often veer off-track if their environment pushes them to “simply survive” in the short-term. It turns out good grades and the drive to succeed aren’t enough; without a supportive environment (including relationships and living conditions), a teenager or young adult will almost always make decisions for short-term wins rather than long-term gain. The researchers suggest numerous ways to help these kids, among them: improving neighborhoods so kids don’t rush out on their own just to escape; expanding opportunities in afterschool hours to fuel kids’ passions that help inspire them in tough times; and counseling kids about how seemingly short-term decisions will affect them in the long-run. For me, these two articles connect in a real and meaningful way. On their face they both point to disadvantages that poor kids face in life that others don’t. But beneath the surface they shed light on the question, How can we help instill the skills, values, and information disadvantaged kids need for upward mobility in life? The answer is complex and multi-faceted. Environment is certainly a big part of the equation. As is how these kids spend their time outside of school, and the relationships they develop with caring adults to help them navigate important life decisions. These two articles illuminated some important points about the challenges (and opportunities) facing our young people today. I hope you find them as insightful as I did. Maya Angelou famously said, “I've learned that people will forget what you said, people will forget what you did, but people will never forget how you made them feel.” I have given a lot of thought to this quote over the past year, especially as the Knott Foundation has transitioned to a new grants management system. The transition to a new system began with a deep dive into to the ever-expanding world of software options. To see the multitude of bells and whistles available to manage, measure, and message our data was both overwhelming and exhilarating. And, like buying a new car, I could see how it would be very easy to walk away with a Ferrari when you only needed a Ford. Our approach when identifying a system was largely threefold: to find a system that would improve operational efficiencies internally, enhance the grant applicant experience externally, and enable us to understand, aggregate, and share the data and stories we are collecting. After months of planning and long hours of building out our new Fluxx platform, with tremendous excitement we went live with the system in April of this year. While largely a smooth ride, as is customary with any database transition, we have hit a few bumps in the road. And this is where Maya Angelou comes into play. As it turns out, database transitions concern themselves with more than just data. At their heart they are all about people and how they feel. For our staff, it was important that that the new system be flexible and powerful without being intimidating. To ensure that we achieved this in the final build, feelings became a big part of the conversation. Learning curves are inevitable, but what’s invaluable in getting the best possible product is understanding how the database ultimately makes the staff responsible for interacting with it feel. Communicating with Fluxx how certain processes and design elements were leaving individuals confused and uncertain helped us get to a place where change management (rather than crisis management) could take place. For our applicants, it was important that the new system provide a high level of real time access and control. We believe, and have heard from many applicants, that the new online system does this. While the empowering elements are a valued improvement, we remain committed to our welcoming culture in the face of our new technology. Realizing that grant writing is a hard job and navigating the proclivities of foundations can be even harder, we never want to promote technological empowerment over human understanding. If we neglected to address how our new grants system made our applicants feel, we would not only be making their jobs harder, we wouldn’t be true to our own organizational culture. Listening, acknowledging and responding to feelings throughout our database transition process has not always been easy. We believe in the end, however, that in doing so we have created a strong platform to achieve our long-term goal of understanding, aggregating, and sharing the data and stories we are collecting. While this goal will take a bit longer to achieve, we are energized by the thought that our grants management system transition could have a transformative impact on how we work to strengthen communities and foster relationships. As the Grants Manager, my job has been to shepherd the Foundation and our applicants through the transition to the Fluxx system. There have been times when my flock strayed; however, I found that when I took a step back and thought to myself, how would this change element make me feel if my role were something different? I found that I was able to get the flock back in the stall. What We're Reading: Reflections on the Lives of Henry J. & Marion Burk Knott by Molly Pyle, Ph.D. I recently read Reflections on the Lives of Henry J. & Marion Burk Knott by Molly Pyle, Ph.D. – a moving portrait of our founders published by the Marion Burk Knott and Marion I. & Henry J. Knott Scholarship Funds. While the Knott Foundation and Knott Scholarship Funds are two separate entities, our roots are mutually tied to the incredible philanthropy of Marion and Henry Knott, who in many respects were two of the most generous people in Baltimore in their day. Reflections is a historical composition that paints a portrait of two very different people who, through their ups and downs, ended up sharing the same unwavering love for their family, the same commitment to Catholic education, and the same understanding of the Baltimore community. Marion and Henry each came from very humble beginnings. They met on a blind date in 1926 and two years later, during the time of the Great Depression, were married. In those early days, they struggled to make ends meet and raise a family of 13 children. Growing up, Henry and his father did not agree on many things. Yet Henry learned from his father to be hardworking and stubborn, just like he was. After two years of college at Loyola, Henry dropped out and educated himself by reading texts and authors that were of interest to him; he was an avid reader and collector of the Loeb editions of the Greek classics. Henry believed, and in turn taught his children, that we are simply stewards of the money we earn on Earth, and with that money, we have an obligation to give back to our community. Marion’s mother died when she was four years’ old, and so she went to live with an aunt in Baltimore. When Marion was growing up, she lacked a caring and consistent role model in many respects of her life. Yet she taught herself how to be a good mother to her 13 children, how to be a quiet strength within the family, and how to run a busy household. She was a strong, independent person, and she showed her daughters how to be the same. Marion encouraged all her children to do what was best for them, and to be their own person. By virtue of their life experience, Marion and Henry were self-made people. He was hard charging, an informally but well-educated businessperson. And she was a compassionate, resilient and patient woman. This combination of personalities led them to great success in business, in family, in philanthropy, and in life in general. Marion and Henry both believed that you could give just as much of yourself to help others as you could with a monetary gift. They instilled this commitment to volunteerism in their children, who in turn have encouraged the same in their children. Mr. Knott, his children, his grandchildren, and his great grandchildren have served on many boards and given their time and treasure to many charitable organizations throughout the Baltimore area. In 1981 Marion and Henry established the Marion Burk Knott Scholarship Fund, and in 1988 they started the Marion I. & Henry J. Knott Scholarship Fund. Through these merit based scholarship programs, their dream was to help Catholic students continue to pursue a Catholic education, develop outstanding moral character, and become future leaders in the community. Since their inception, as many as 1700 scholarships have been awarded to over 1500 students. I very much enjoyed reading Reflections, and I hope you do as well. On behalf of the Foundation, I would also like to extend our thanks to author Molly Pyle, Ph.D. for researching and writing the portrait, and to the Knott Scholarship Funds for publishing it. Daniel Lubetzky is a serial entrepreneur best known as the Founder and CEO of KIND Healthy Snacks. 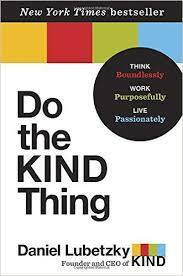 I encountered his book, Do the KIND Thing: Think Boundlessly, Work Purposefully, Live Passionately, through an act of philanthropic kindness. Each November, The Harry and Jeanette Weinberg Foundation holds its Annual Community Gathering, and this past year Mr. Lubetzky was the keynote speaker. The event brings together hundreds of individuals from communities near and far to celebrate their year in philanthropy, creating an authentic space for conversations between grant funders and grant seekers. While admittedly the book, which was distributed at the event as another act of kindness, sat on my shelf for some time, it constantly caught my eye with its bright colors and its silently bolded refrain to “do the kind thing”. So, at a time when I began to question the presence of kindness in our world, I reached for the book. It can be easy to think of the field of philanthropy as being naturally imbued with kindness, empathy and authenticity. While that may be truer than the field of commerce, it does not come without effort and it cannot flourish without intentional “care and feeding”. Emphasis on inflexible outcomes or the imbalance of power between funder and funded may be perceived as un-kindly and may even obscure opportunities and stifle audacious ideas that could lead to greater impact. Lubetzky challenges us to not approach our work or our lives from an “or” philosophy but rather one of “and”. Do the KIND Thing makes clear that acts of kindness, whether in the personal or business context, should never be viewed from an “or” philosophy or seen as an act of weakness, but rather an act of courage. Bringing a philosophy of kindness and empathy to our work in philanthropy can enhance collaboration, build bridges between communities and create real solutions to what often appear to be insurmountable challenges. To get to that transformational place however, we must put ourselves, and our beliefs, out there in ways that may be uncomfortable. Although the book is filled with stories tied specifically to the building of the KIND brand, it is a fascinating and heartening reporting on how kindness can build a brand and transform the world. It left me thankful for the many kind acts I witness every day in my work with grantees and thinking of ways to use the “and” philosophy to keep the conversations started last November at the Weinberg Annual Gathering moving forward. How many times do we have a bright idea, but push it aside for reasons like, “it’s too much work,” or “it’s never going to fly”? Well, some nonprofits here in Baltimore have ignored these excuses and turned their bright ideas into bold initiatives… all for the betterment of our city. I had the pleasure of visiting a few of these organizations this past month, and I’d like to share some stories of their innovation and good work with you. Note: One important thing I learned from reflecting on these visits is that bright ideas don’t always require money. In fact, most (if not all) of the examples here occurred without any money ever changing hands. At the Franciscan Center’s “State of the Center” breakfast, I learned about two innovative partnerships that they’ve forged to help feed the hungry. It was a great idea, but there were some roadblocks. Chief among them, how to clean and dress hundreds of pounds of fish at once when the Franciscan Center’s kitchen is small (in both physical size and number of staff). So Christian called the School of Culinary Arts at Stratford University in Baltimore and asked, “Could your students clean and dress a few hundred pounds of fish from IMET, a couple of times a year? The answer was yes, the School was happy to run “fish week” whenever the time was right. As a result, the Franciscan Center will receive this fresh, high quality protein ready to cook! Then along came another innovative partnership. The Shrine of St. Anthony in Ellicott City, run by the Franciscan Friars, has a large property with 310 acres of rolling hills, woodlands, and farmland. About 85 acres are currently leased to a cash crop farmer. The Friars have generously agreed to set aside five acres of this farmland for the Franciscan Center, where they will grow vegetables for the Center’s dining and food pantry programs. A sign on the property will advertise this collaborative partnership between Franciscan organizations. There are also plans to engage the University of Maryland Agricultural Center, which is adjacent to the property, and recruit volunteers from St. Louis Church in Clarksville, the nearest Catholic parish, to help with the upkeep of the new Franciscan Center Farm. 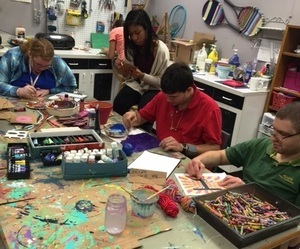 Itineris (the Latin word for journey) is an organization in Baltimore that serves adults with autism. All 60 of their clients are working (75% of them are getting paid), but that’s not the most impressive aspect of their program. All 60 of their clients are working in jobs they want to do. Itineris boasts just as many job sites as clients and doesn’t “track” their clients into specified fields based on job availability. Rather, they work with each individual to find their passion, and then turn that passion into productive activity. When I visited Interis’ home at The Pointe on Rockrose near TV Hill, I saw first-hand how enthusiastic they are about turning a client’s passion into work. One example is word searches. Itineris has a client who is gifted at making customized word searches. He has even published a book with creatively-themed searches! The fun part is that this person is available for hire. Do you want to add a word search to your wedding gift bags? How about as a placemat at your next family reunion? Or printed on the back of your Christmas newsletter? The options are endless. I also witnessed several artistic Itineris clients assembling table toppers for a fundraising gala. They were beautiful and were customized according to the theme and colors for the big event. Another Itineris client showed a penchant for sorting. “He can sort anything!” his caseworker proclaimed. They worked with him to create a recycling business where he picks up recyclables from local businesses, sorts them, and turns them in by the pound for profit. I was delighted to take part in a recent celebration for Caroline Center, looking back at their 20 years of service to educate women for sustainable careers. Sister Patricia McLaughlin, SSND, made an exciting announcement at the event: Caroline Center will open a new permanent location on the old Gibbon’s High School property on Baltimore’s West Side next year. In the meantime, they will offer classes for certified nursing assistants and geriatric nursing assistants (CNA/GNA) in a temporary (and rent-free) space at St. Agnes Hospital. 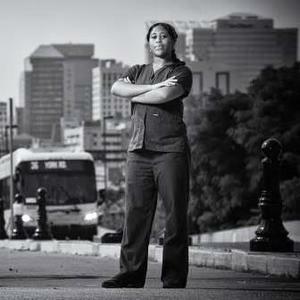 After the death of Freddie Gray, Caroline Center reflected on its mission to offer a life-changing education and career skills training to women and felt there was a calling to expand their reach in the city. The School Sisters have had a presence in East Baltimore for nearly a century-and-a-half, and now their work will expand to the West Side as well. In sum, our Baltimore-area nonprofits do an incredible job turning bright ideas for partnerships, employment, and expansion into bold initiatives for the betterment of our community. It is a privilege to work amongst these great organizations and to have this opportunity to share these small but meaningful snippets of their stories with you. As an alumna of the University of Notre Dame, I was pleased to attend a recent event where two Notre Dame professors presented their findings on a novel claim in the Catholic education landscape. 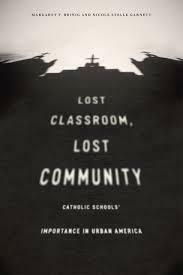 In their book Lost Classroom, Lost Community (The University of Chicago Press, 2014), authors Margaret F. Brinig and Nicole Stelle Garnett offer empirical evidence that Catholic schools improve neighborhoods in important ways beyond educational outcomes. Brinig and Garnett’s statistical model submits that the very presence of a Catholic school in an urban neighborhood reduces crime, suppresses neighborhood disorder, and increases social cohesion. To prove their thesis, the authors examine the Archdiocese of Chicago – the largest private school system in the United States – alongside data from the Project on Human Development in Chicago Neighborhoods and police beat crime reports. The lynchpin of their analysis is the identification of an instrumental variable for why Catholic schools in Chicago were closed. It turns out that factors related to the leadership of the pastor at each school were more predictive of school closures than anything else. This allowed the researchers to disaggregate the data from demographic variables that might otherwise have predicted the neighborhood’s decline. Why is this technicality so important? Because it paves the way for the holy grail of statistical modeling: an empirical, causal link between the closure of a Catholic school and the decline of the surrounding neighborhood. Statistics aside, the authors’ point is this: urban Catholic schools are more than just teaching institutions, they are community institutions. They help to sustain the peace, build trust among people, and promote social and physical order in the community. Brinig and Garnett further state that Catholic schools may be unique to public schools and charter schools in this regard, as the neighborhood social cohesion data could not be replicated with public charter schools. The converse of their claim, of course, is that Catholic school closures result in more crime and disorder and less social cohesion in urban districts. I was especially moved by the authors’ research and analysis for two reasons. First, I believe in the power of education to transform lives, and this new research points to ways that Catholic schools are able to do that beyond just focusing on test scores, graduation rates, college acceptance rates, or even the spiritual development of our young people. It turns out that just living in a neighborhood with a Catholic school, but not necessarily even going to it, can be advantageous. Second, I believe that relationships matter. If people know one another, if people are not only neighbors but friends, they are more likely to respect each other and be tolerant of their individual differences. Since we now know that Catholic schools promote relationships between people beyond the school itself, then I would venture to say that the Church’s presence in these neighborhoods is not only fulfilling an educational mission, but a parallel mission of community fellowship and trust. As a Catholic family foundation dedicated to strengthening the community in the Archdiocese of Baltimore, Brinig and Garnett’s book really hit home. It suggests that our giving to Catholic schools, which has exceeded $4 million over the past five years, has a strong impact both inside and outside of school walls. Indeed, it seems plausible to consider Catholic education as one of the Church’s most powerful tools in community development, urban renewal, and poverty alleviation. This idea – when coupled with the renaissance our Catholic schools are experiencing, as reported by Philanthropy Roundtable’s Andy Smarick and Kelly Robson – is both promising and profound. Brinig and Garnett’s statistical analysis is not for the faint of heart. Their presentation of the data is extensive, and there is ample background and history to digest. But the bottom line is worth the read, because it says that our Catholic schools matter more to our city than the average person might think. 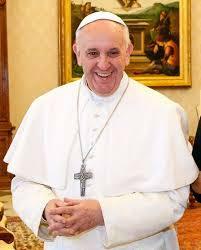 I recently read The Joy of the Gospel by Pope Francis with my parish prayer group at Our Lady of Grace in Parkton. The overall message of this book is that the Gospel fills the hearts and lives of all who encounter Christ. If we accept his offer of salvation, we are set free from sin, sorrow, and loneliness. Pope Francis states that the Church must be a place of mercy, freely given, where everyone can feel welcome, loved and forgiven. He says the Eucharist is not a prize for the perfect, but a powerful medicine and nourishment for the weak. There are also many discussions related to economic justice and decision-making roles for women in the Church, which makes it thought-provoking for Catholics to read. In the book, the Pope addresses the many troubles the Catholic Church is going through and tells us that the old ways of the Church do not work anymore. He says the Church needs to embark on evangelization with great enthusiasm and vitality. He invites everyone to be bold and creative in rethinking the goals, structures, styles, and methods of evangelization in their respective communities, and working within their own congregations and neighborhoods. While I believe this message about evangelization is very true, I also feel that it’s very hard for most people to go out and preach the teachings of the Church. We not only need to be knowledgeable about our faith to evangelize, we also need to be comfortable approaching people in society on this subject. Yet it strikes me that the Knott Foundation’s act of giving grants to nonprofits in the Baltimore metropolitan area helps in some small way to spread the word of many worthy organizations and causes, just as the Pope would like all Catholics to spread the word of the Catholic faith. In this way, I believe my work here at the Foundation helps me to understand the Pope’s message in new ways, because part of “evangelizing” is giving back to the community and refusing to hide from those who are less fortunate. We are endlessly bombarded by the hype of the technology market – the newest device, the latest app, the ever-expanding cloud. It is all so bright and shiny and set to a musical score that makes us believe this next purchase will solve all of our technology needs, and we jump. Taking such a jump can be exhilarating when done for our own personal consumption, but when “the accidental technologist” is asked to do so for our organization, the leap can be overwhelming. 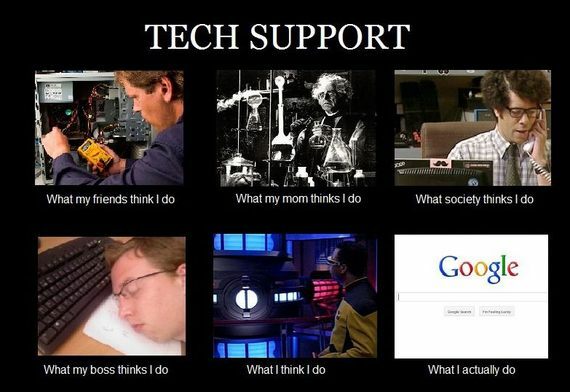 Accidental Technologist (noun): a person who, without any formal training has somehow become the go-to person in their organization for technology troubleshooting. Perhaps you did a great job clearing a paper jam out of the copier or suggested to your colleague that they reboot their computer when it was acting “glitchy.” Somehow, these actions caught the attention of your colleagues and you were swiftly tagged as the de facto IT person. Studies such as the most recent NTEN Technology Staffing and Investment Report indicate that regardless of organizational size, the median technology budget as a percentage of total operating budget ranges from 1.4% to 2%. Meanwhile, 78% of organizations described themselves as barely maintaining or failing to maintain their technology systems. Technology has become a critical component of an organization’s backbone, and yet the accidental technologist is faced with making big decisions in an ever-changing marketplace with limited resources and often little time and access to expertise. Over the past five years, we at the Knott Foundation have seen requests for technology-related support increase dramatically with the explosion of technology in classrooms and the rise of the importance of social networking and responsive design in fundraising for nonprofits. In response, our technology giving has grown to more than $2.5 million during that period, averaging slightly above $500,000 each year. 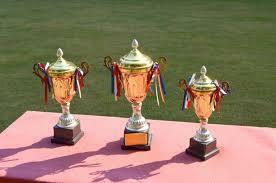 Many of these awards have been given to schools and nonprofits who are lacking formally trained IT staff. Through our work, we have learned a tremendous amount about the challenges faced by and the resources that exist to help guide “the accidental technologist” with technology planning, purchasing, and the many innovative approaches taken to make informed choices, save money without offsetting impact, and strengthen their organization’s backbone. Sites such as TechSoup’s Cookbook and blog resources such as The Nine Steps of Planning a Successful Technology Project and Mobile Beacon’s Tech Planning Blog can be of tremendous assistance when trying to develop a right-sized, needs-based technology plan. Schools looking to invest in a one-to-one computing initiative can read Ten Considerations for Funding or Implementing Programs and opportunities to “try before you buy” can be found through EdSurge. Sites such as TechSoup, Digital Wish and Good360 can help schools and nonprofits secure hardware and software for dramatically reduced prices, or even for free. TechSoup notably has a section on donations and resources for religious organizations. Hardware and software in-hand, the ability of technology to innovate in the workspace is reliant upon taking the time to train staff and create opportunities for professional development. Sites such as Lynda.com and Atomic Learning, for a fee, provide access to thousands of professional development and technology training opportunities with the click of a mouse. Idealware is a great site for information on a wide range of technology training, purchasing, and grantwriting, and you can even find helpful trainings on YouTube. Many of our grantees also create their own in-house video libraries by taping formal trainings provided by vendors or peers for use by new staff or returning staff looking to brush up on skills. And, for the truly DIYs out there, ingenious ideas such as using igloo coolers to transport iPads instead of carts, converting cubby storage units into charging stations, and using flexible PVC pipe fittings to create iPad stands for students in wheelchairs can not only help save money, but may also help forge a community of excited accidental technologists that turn your organization into a group of passionate, tech savvy intentional futurists! Last month we completed some office renovations that – while celebrated in appearance and increased functionality – disrupted our normal course of operations. So much so that I started calling the project “Operation Disruptive Innovation” in my own mind, in reference to the catalytic social change phenomenon with the same name (Christensen et. al., Disruptive Innovation for Social Change, Harvard Business Review, December 2006). Yet disruption is part of our everyday work and life. How many times have you hosted a dinner party, only to have a dish not turn out or finish cooking on time? How many times have you been awarded a grant for a project, only to have an unanticipated challenge stall its progress? Things rarely go according to plan, and new challenges emerge at every turn. The question isn’t how to minimize these disruptions, but how to maximize their usefulness. You see, when things go according to plan, we rarely have to think outside the box. But when things get turned upside down, we tend to produce new ideas and solutions that change the trajectory of our work. It seems disruption can help us be more creative and innovative, if approached with a positive mindset. I recently attended a lecture by Robert Siegel, longtime host of All Things Considered on NPR. He walked through four life lessons, one for each decade he’s been in journalism. The first lesson was the most salient to me and touched on this point about disruption. Siegel advised, “When presented with a possibility, don’t spend your time thinking about why it won’t work. Instead spend your time figuring out how to make it work.” As a young editor at NPR, Siegel was at the table when the station decided to cover a major congressional event gavel to gavel. Instead of dismissing this unorthodox idea when the opportunity arose, his team concentrated on ways to seize the challenge. It disrupted NPR’s normal programming, but the groundbreaking coverage catapulted the station to new heights. As “Disruptive Innovation” points out, “Organizations are set up to support their existing business models.” Most innovations, therefore, advance an organization’s current model by improving the quality or functionality of services offered. 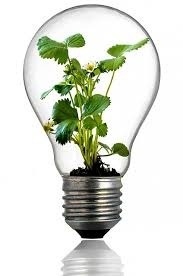 But disruptive innovations go beyond this realm of sustaining or enhancing existing operations. They break through barriers and bring new benefits to more people in simpler ways. Some of our grantees have taken this approach to heart. Top of mind is the Cristo Rey Network, which has opened the door for 9,000 students nationwide to attend a Catholic school through its innovative work study program. Here in Baltimore, Cristo Rey Jesuit High School opened in 2007 and currently serves 360 boys and girls. Their formula is simple – students’ jobs help pay for school – yet radically different than the typical high school business model. The big question, of course, is how to create disruptive innovation in the social sector and bring about the positive changes in education, health, and human services that we all desire. To answer that question, I might direct you to my colleague Kathleen McCarthy’s post on Steven Johnson’s book, Where Good Ideas Come From. Because as Johnson (and my favorite GE commercial) expresses, “Old ideas can sometimes use new buildings. New ideas must use old buildings.” In other words, it’s difficult to accept new ideas in the context of our old environment. At the Knott Foundation, our environment is looking a bit more new and fresh these days. And while “Operation Disruptive Innovation” might end with the completion of our office renovation, I hope the spirit of disruption continues to yield creative insights, a positive focus on possibilities, and new ideas that help change the world for the better. This is the third in a multi-part series about how a neighborhood Catholic school in Baltimore City started an after-school STEM Club on a shoestring budget. Forget about fancy facilities or a well-endowed budget. A successful STEM club needs only dedicated teachers, volunteers, and students. As a small, K-8 Catholic school in the northeast corner of Baltimore City, St. Francis of Assisi School began a STEM Club on a shoestring budget two years ago. Under the direction and encouragement of Dr. Sandy Young, a parent volunteer and materials engineer, the number of students participating in the Club has more than doubled since our first year. S: Students grow the most when they’re invited to discover how they learn best. It’s fun to see the students working together in a myriad of ways – generating ideas and solutions, taking on leadership roles within their groups, or simply encouraging one another to succeed. One student might garner enthusiasm from the littlest successes and discoveries, while another might enjoy more grandiose competitions. I’ve found this to be especially true of the Lego League competitions for the younger students in grades 1-3 (JrFLL) and the older students in grades 4-8 (FLL). T: Topics that are outside of the traditional curriculum can be examined in the STEM Club. For example, programming. 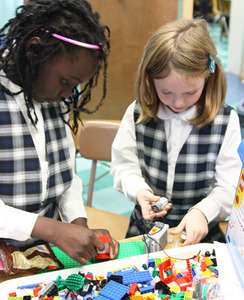 Our older students have ventured into the world of programming through First Lego League Competitions and Robotics. It’s exciting to see how some of the students are naturals at programming their robots to complete certain tasks on a set field. They also quickly learn that not everything works successfully the first time, and they need to test and retest their ideas until the desired results are achieved. In this way, students that might not excel in the classroom get a chance to really shine and take on leadership roles in the context of the STEM Club. E: Excitement generated by the STEM Club spills over into the classroom. One of the tools we’ve used in our STEM Club is a 3D printer. A few of our students participated in a 3D printing workshop held here at the school, made possible in part by a grant from the Knott Foundation, and their excitement spilled over into the classroom where they considered all the possibilities of how 3D printers can used for various projects. M: More and more students will learn about career opportunities in STEM. National Chemistry Week is celebrated in our STEM program to make students more aware of the importance of chemistry in our everyday lives. National Engineers Week is also part of our after-school topics, making students aware of what engineers do and how they make a difference in our world. By building these national movements into our STEM Club, our students have participated in chemistry and engineering activities, such as building circuits, that have helped them realize what chemists and engineers do in real life. Starting and running an after-school STEM Club requires a commitment of all those involved – teachers, parents, students, and our principal. Good ideas, planning, and flexibility are key ingredients for success, and there will never be enough time and energy to accomplish everything (especially at the end of a school day!). The rewards, however, are great. Our students are becoming great “inquirers” and “problem-solvers,” and they are experiencing the spirit and fun of learning, teamwork, self-motivation, and competition. Mary Jo Broderick is a middle school science teacher at St. Francis of Assisi School, a K-8 Catholic school in northeast Baltimore. Eureka! Your flash of brilliance is actually a slow hunch built on a foundation of spare parts. Go ahead and insert a “wah waah” here. 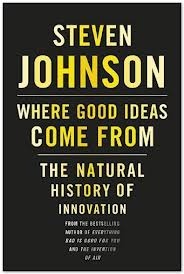 While we are primed to believe in the notion of a genius sitting alone in a room, a lab or on top of a mountain tinkering away until a fully formed brilliant idea flashes, Johnson contends that creativity and innovation do not happen when we (or systems) close ourselves off. Scanning a landscape of over five centuries and the fields of biology, chemistry, technology and culture, Where Good Ideas Come From: The Natural History of Innovation is an exploration of how ideas are generated, why failure matters, and the benefits of diversity. Johnson does a remarkable job of breaking down the myth of the lone genius without dampening the reality of human and environmental/biological ingenuity. With examples as varied as YouTube and neonatal incubators, Johnson demonstrates that we are indeed capable of generating great ideas; however, these ideas are constrained by the “adjacent possible.” That is, they cannot leapfrog the environment as it currently exists, and they need to enter into the “liquid network” – an environment that is open and allows connections to form in order to create change from the idea. One of the most fascinating examples used to highlight his premise is Darwin’s “slow hunch” towards The Origin of Species. Darwin opened himself up to the physical and scientific world, collecting his observations without strictly categorizing them. In doing so, he was able to make connections between seemingly disparate environments, systems, and research that led him to his “aha” moment: creating a unifying foundation for the field of what is now called life science. It is safe to say that Darwin would not have drafted his seminal work had he locked himself in a room or sailed on the Beagle alone. I would also venture it is safe to say that the world’s greatest challenges – poverty, economic disparity, education etc., many of which we in philanthropy dedicate ourselves to addressing – will not be solved if we silo ourselves off. Ideas need to mix things up in the “liquid network” and recognize the boundaries of the “adjacent possible” in order for them to move from the conceptual to the actual. So, when that next great idea pops into your head, do not keep it to yourself. Go ahead and share it. Who knows, it could prove to be the missing element in creating one of the world’s greatest “aha” moments. The following blog shares learning from a one-to-one iPad initiative from the perspective of the school principal and a university professor who engaged in a research study at the school. Together, they share the story of implementation, evaluation, expansion, and plans for the future. A one-to-one iPad initiative was begun at St. John Regional Catholic School (SJRCS) in the fall of 2011 with a generous grant award from the Knott Foundation. Principal, Karen Smith, conceived the idea for the initiative based upon her learning about a similar program at another school. Mrs. Smith knew her school community was ready for such an initiative and that she could rely on the expertise of an established technology team to help. With a decision to proceed, the technology team sought grant funds to purchase iPads for use by all students in the 8th grade and the school installed reliable, wireless Internet. Integrated technology and learning goals were established for the initiative to include increased student engagement in learning and increased 21st century skills. Mrs. Smith emphasized the role of technology for her students’ future in college and career. The decision to use iPads over other mobile devices was based upon their affordability and portability. With a convenient, small size iPads were determined to be easier to manage in the school environment. Next, policies and management were considered. It was determined that the iPads would remain at school for daily use and would not be provided for home use after school hours. Of critical concern was insurance for the iPads should they be damaged at school. Mrs. Smith was aware of some insurance plans that were available for iPads, but she decided to consult with the Archdiocese of Baltimore Department of Risk Management for their advice. As a result, families were offered an optional insurance plan that would enable an iPad to be replaced if it was lost or damaged on the school property. Parents who opted out of the insurance would be responsible for replacing the iPad on their own if anything happened to it. Training teachers and generating enthusiasm for the initiative was important. Teacher professional development (PD) needs were identified and initial PD occurred prior to iPad deployment to students. Teachers were issued iPads to take home to begin exploring uses and familiarizing themselves with functionality. A weekly, after-school meeting provided teachers a forum for sharing best practices, new and useful applications, and troubleshooting. Additional off-campus PD opportunities were provided as well as in-house training by technology team members. Mrs. Smith noted that some teachers were nervous at first, but the after-school technology team meetings seemed to be very helpful in building confidence with use. The iPad rollout was carefully planned. First, a mandatory parent meeting was held to explain the program to parents prior to the students receiving their iPads. Two different dates and times were offered so that parents were able to select the one that was most convenient for them. At the meeting, general expectations were explained; as well as, policies and procedures that were put into place. The Acceptable Use Policy for Computers was reviewed and the insurance program was also explained. Since the students were not going to be allowed to take their iPads home, there needed to be a way for them to access the work they had started at school on their home computers. The school’s answer to that was the use of eBackpack and the Pages application. Learning about how to use eBackpack was one of the boot camp sessions. In another session, students explored the use of several different programs that allowed them to “personalize” their iPads. Students morphed their faces and added color to their photos. These photos would become the identifier for their iPad. In a third session, students were exposed to a variety of the applications they would be using in their classes. These apps had been pre-selected by teachers for each of their respective subject areas. The initiative was expanded in subsequent years through the fundraising support of the school community. In its second year, the initiative expanded to include purchase of iPads for all students in the 7th grade. A fundraising effort known as the Race for Technology supported this purchase. With school support, students seek sponsors for their run/walk. These fundraising efforts continue and have been used to increase the number of iPads the school has on hand for student use. Plans for these funds included extending iPads to the 6th grade. However, after some time had passed, it became apparent that perhaps sixth grade students would not be able to handle the additional responsibility of carrying an iPad all day. Therefore, it was decided that iPad carts would be purchased instead. Teachers in 5th and 6th grade have the ability of using the iPads with students without expecting students to be responsible for carrying the iPads around all day and the primary grades have a cart to share as well. The more proficient teachers become in implementing iPads in the classroom, the more they want to have them available for their use. Mrs. Smith has since integrated questions about one-to-one computing into her interview protocol for new hires to help sustain the vision and pedagogical innovations brought by the iPad initiative. In the three years of the initiative Mrs. Smith has not observed any noticeable differences between the reliability of the iPads and existing desktop computers available in the computer lab. She has noted a cost savings as a result of reduced paper usage and in purchasing e-textbooks. Mrs. Smith also noted classroom efficiencies in materials distribution as fewer papers were being handed out during class time. Members of the technology team periodically obtain student views on the initiative through surveys and anecdotal conversations. In the fall of 2013, led by faculty researcher, Dr. Laura Corbin Frazier, a qualitative research study was conducted at the school using focus group interviews with students, teachers, and parents. The research sought to understand how teacher technology decision-making may have been impacted by the initiative and to identify the perspectives of teachers, students, and parents on the role of the iPad in enhancing student learning. Data were collected twice during the academic year and were analyzed for themes. Data provide evidence to support increased student engagement in learning and increased 21st Century skills, both goals established by SJRCS for the initiative. Regarding the research questions, data illustrate mixed views on the impact of the initiative to teacher technology decision-making. During the study period, the use of the iPads for instructional purposes was reported to increase as was teacher confidence with use. Data also provide evidence that the use of the iPad enhances student learning in several ways, but also highlights technical and policy issues that need to be considered as the initiative sustains. Most respondents held favorable views on the use of the iPads indicating use to be motivational, engaging, and fun. Affordances of iPads to increase access to resources and to provide efficiencies in organization were also noted. Communication was enhanced through the use of Edmodo, an application available on iPads and through web access. Personalization features of the iPads were also helpful as students described their ability to customize their device, increasing font sizes and changing background colors. Use of eBackpack (an online, course management platform for students) was valued in supporting organization. Several students identified benefits of iPad use in increasing their technological skills. Skills they believed would prepare them for the future. Teacher use of iPads varied from classroom to classroom. Typical instructional uses included use for presentations, research, worksheet completion, taking notes, reading maps, tests/quizzes, and videos. Several applications were used including: iMovie, Educreations, QR codes, Internet, Animoto, techbook, Google, games, calculator, graphs, and word processing apps. Ipads were used in various settings including individual, group, and pair work, with individual student uses most prevalent. Views on whether the use of the iPad changed the content of student learning or merely the tools that were used to support learning varied within each respondent group. Concerns were raised over the use policy that prohibited students from touching the iPad of another student. Students questioned whether this policy reduced the amount of collaborative work they could engage in. Teacher and student comments on behavior management described positive changes including greater focus on learning tasks and quieter classrooms. Students did note that sometimes the iPads can be a temptation and it is hard to wait until the appropriate time to open applications of interest. The most significant hindrance to the iPad initiative was server issues (i.e., slow speeds, uploading delays, glitches). A concern was also raised over the transition to high school and whether students would be at an advantage or disadvantage having engaged in the iPad initiative. Research findings in many cases confirmed anecdotal views on the successes of the iPad initiative, and also identified concern areas that were and were not known by school administration. SJRCS believes the iPad initiative has been well received by students, teachers, and parents and research findings affirm this belief. Anecdotally, recent graduates who have attended high school where iPads were not being used report that they wish they still had them to use during their classes. While, initially, it does take some time, effort, and training to get the program up and running, once students become proficient with iPad use, they begin to recognize its value as a learning tool. Yet, research findings highlight some concerns regarding the role of iPads in supporting high school readiness. In consideration of research findings authors suggest a follow-up study, perhaps a survey to recent graduates assessing their views on the role of the iPad initiative in preparing them for high school and in identifying their continued use of iPads or similar tools to support their learning in high school. Many of the decisions that were made before the iPad program started have proven to be beneficial for the school. For example, not allowing students to take the iPads home. Due to the age of the students and the added responsibility of caring for an iPad, students are currently not allowed to “share” iPads. Though research findings suggested some student concern over this policy, SJRCS administration feels that the policy has supported that decision. Limiting the sharing of iPads among students has definitely reduced the possibility of one student damaging an iPad assigned to someone else. The school administration had to take into consideration that they were dealing with thirteen year olds who sometimes act impulsively and without thinking beyond their immediate actions. Further, teachers have found ways for students to work cooperatively while using their own iPads. SJRCS teachers and administrators continue to attend workshops focused on the successful implementation of iPads in the classroom. Like everything else involving technology, continuous professional development is essential to make implementation successful. Teachers have also found that even our youngest students in Pre-K enjoy using the iPads. They have been able to find several apps that allow students in the primary and elementary grades to access the iPads too. Fundraising has allowed the purchase of additional iPad carts to meet these demands. When more iPads were added, however, the need to increase bandwidth for Internet use was noted and later confirmed by research findings. Currently, SJRCS is at capacity and is in the process of identifying alternate means of providing faster wireless Internet access throughout the school. SJRCS school administrators are pleased with the overall effects of the iPad initiative. It keeps their Mission at the forefront of what they do at school each day: “to develop future leadership for the 21st century through academic excellence…” This initiative has put a device in the hands of every 7th and 8th grade student. Some of whom might not have had that opportunity. It has also allowed students to realize first-hand the power of technology and has brought them closer to being college and career ready for a future that is ever changing in the realm of technology. Karen Smith, M.Ed, is principal at St. John Regional Catholic School. 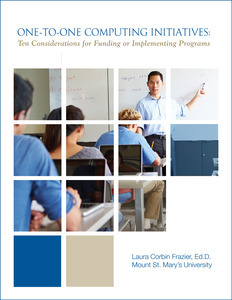 Laura Corbin Frazier, Ed.D., is an assistant professor in the department of Education at Mount St. Mary’s University. From the first disciples to the present, centuries of men and women have been called to be leaders and teachers of the faith. And while that promise is still being kept today, the face of our shepherds in the Catholic Church is changing – a phenomenon perhaps most apparent in the Catholic schools. No longer are there enough sisters, brothers and priests to lead the schools, so lay men and women are increasingly being sought to fill the positions that religious leaders held in the past. The halcyon days of religious leadership in schools were in the 1950s and 1960s. “In the 1960s, we had about a 75/25 ratio of religious to lay faculty and staff in the schools. That has declined about 10% every decade since,” shares Sr. Dale McDonald, PBVM, Ph.D., Director of Public Policy and Educational Research at the National Catholic Educational Association. By about 1990, there were just 15% religious in the schools; by 2000 it was down to 7%, and now it is only 3%. “The trend is pretty well established, that the religious are gone from the schools,” Sr. Dale says. In the Archdiocese of Baltimore in 1998, there were 98 Catholic schools serving 36,000 students. About 170 religious worked at those schools full-time, including 128 sisters and 41 brothers. Fifteen years later, there were only 40 religious at the remaining 70 schools serving 28,000 students. In the future, “there will probably be some religious at the schools, but looking at the demographic data, we expect that there will be less than 2% in 10 years,” proclaims Sr. Dale. A combination of factors has led to this decline. Two often cited reasons are the reduction in vocations and the aging of existing religious sisters, brothers and priests. Another factor, however, is rooted in how the congregations realize their mission in the community. “Many congregations faced with a declining population have been forced to look back to why they were founded,” Sr. Dale recounts. 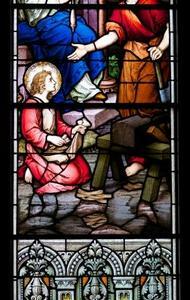 For many, their mission was “to meet needs that couldn’t be met, and often the schools were established at a point when education for Catholics was really limited.” Consequently, in cases where schools have been able to maintain themselves through solid academics and strong faith formation, religious congregations have made the decision to entrust them to lay leadership, which in turn allows the religious to concentrate their time on other unmet needs in the community. For the schools, this decline means there is a great need for new shepherds to provide leadership in promoting academic excellence, faith formation and administrative management. 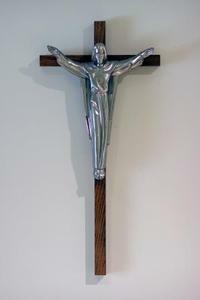 Of particular note is the faith formation piece, which is closely tied to the Catholic identity of the schools. “The perception used to be that because [the school’s leadership] was a religious priest or a brother or a nun, that it was Catholic, without being intentionally so. As more and more lay people have assumed their roles, there has been more of a focus on the intentionality,” states Sr. Dale. So, in this transition from religious to lay leadership, how has the Catholic identity of schools been impacted? And how are they reflecting the value system of the faith that so distinguishes Catholic education and ultimately makes Catholic schools a preeminent choice for families and students? In 2012 Tracey Ford became the first lay President of Maryvale Preparatory School, succeeding Sr. Shawn Marie Maguire, SND, who had served as President for 31 years. “It was very humbling to be chosen,” relays Ford, who describes herself as “a hometown girl who came up through the ranks.” She attended St. Joseph’s School in Cockeysville, where her mother was the first lay incorporator for the Church, and later graduated from Notre Dame Preparatory School. During the 19 professional years she spent in Catholic institutions before coming to Maryvale, Ford recalls “being guided by multiple generations of the Knott family, from Mr. Knott Sr. to John Smyth,” in learning about fundraising and how best to advance the mission of Catholic education. In her role, Ford has taken a conscious and sincere approach to the Catholic identity of Maryvale, touching on numerous facets of the School, from board and administrative leadership, to physical features of the campus, to the history of the founding order. She began by meeting with the Sisters of Notre Dame de Namur provincial from Ohio to understand, emulate, and learn from their exemplary leaders. Notably, in her first year as President Ford increased the number of SNDs represented on Maryvale’s board. Ford describes managing the Catholic identity of the School as “having one foot in each of two camps – tradition and reflection,” meaning that one must follow tradition but also interpret it so that it is real and relevant for girls today. At the opening Mass where she was formally installed as President, she chose a reading about “the valiant woman.” Also at the Mass, the youngest member of the sixth grade whose mother and grandmother graduated from Maryvale presented three roses in devotion to the Blessed Mother, representing the three generations of women. Yet Catholic identity is much deeper than all of these things. Ford proclaims, “How to sustain our mission of access for students across a broad cross-section of the community is the biggest challenge a lay leader faces in a Catholic school today.” In effect, this is where Catholic identity merges with the administrative leadership of the School, in that there must be a working business model for how to serve the population that the Church and respective religious order desire to serve. “It is far easier to maintain Catholic identity. What keeps me up at night is the business model,” she admits. Since its founding in 1876, Mount Saint Joseph High School has maintained a history of creating life-long relationships with its students and guiding them in the Xaverian values of simplicity, humility and service. Therefore, when Br. James Kelly, CFX called upon George Andrews, Jr. to return to his roots in Xaverian education at Mount Saint Joseph’s, Andrews responded to the call. 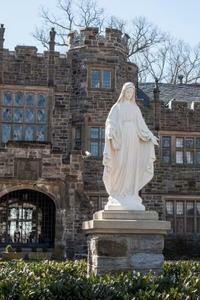 As the new President of Mount Saint Joe’s (MSJ), he succeeded Br. 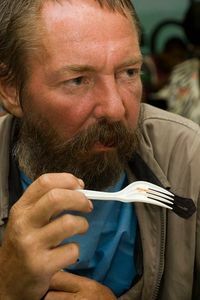 Jim who passed away in December 2011. Andrews graduated from St. Mary’s Ryken High School in Southern Maryland, a Xaverian Brothers’ school much like Mount St. Joe’s (MSJ). He arrived at MSJ for the first time in 1987, serving 11 years as both a teacher and the Director of Formation, a position created by the Brothers to focus on the professional development of faculty as well as the faith formation of students, faculty and staff. Then, after serving as the first lay principal of York Catholic in Pennsylvania for 14 years, he returned to MSJ. “I am a product of Xaverian education and am very comfortable communicating my faith,” he continues. Notably, the Xaverian Brothers were at the forefront of the faith formation of lay leaders, in part because they knew they would not always be able to staff their schools at such a high level. “They saw what the future held and knew that being mindful and deliberate in our approach to faith leadership would be increasingly important,” Andrews observes. This is one reason the brothers created the staff position of Director of Formation, which continues today and oversees all retreat programs, the campus ministry office, faculty and staff development, and other faith activities. “The Catholic faith is very vibrant here,” Andrews concludes. And he is very committed to keeping it that way. “All of us have to be role models for the students – passionate for Xaverian education and ever-concerned with the full development of our students,” Andrews says. Sr. Marie Rose Gustatus, SSND, led St. Thomas Aquinas School in Hampden for more than 30 years, until 2012 when Mr. Gary Rand was appointed as the new Principal. While attending the Catholic University of America, Rand began a teaching practicum in the Archdiocese of Washington, and he has been in Catholic education ever since. Now a resident of Frederick and a father to two young children, his career has taken him to multiple schools in both Washington and Baltimore, including serving as the Dean of Students at St. John’s Catholic Prep as well as the Principal of St. Clement Mary Hofbauer School in Rosedale. “What has inspired me to remain in Catholic education is the opportunity to put my own faith into action,” Rand says. Each day the students, faculty and staff at St. Thomas Aquinas come together in the cafeteria, and Rand leads the school in prayer and song. Meanwhile, students use lessons they learn from Church and incorporate them into their academic day. For example, eight graders were asked to take a leadership role in the first school-wide Mass of the year, which they in turn incorporated into a lesson about leadership in the classroom. “My job is to continue to focus on how faith can drive our education and really put our whole school in the position to be successful for the future,” adds Rand. He describes his commitment to Catholic education as one that includes both passion for academic excellence as well as faith formation. “Academic excellence comes first and foremost, but without Catholic identity, we are not doing the job of fully preparing our students for their lives,” he reasons. In terms of leadership qualities, Rand cites working collaboratively with others as a key characteristic for lay leaders in Catholic education. In this way, he has worked to build a strong relationship between the parish and school community, as well as the broader community of parents, alumni, neighbors and friends. In the midst of all of this transition, it is apparent that the new lay leaders in Baltimore’s Catholic schools are approaching their roles with great energy and thoughtfulness. And that energy translates into promulgating the nurturing, faith-filled atmosphere that is a hallmark of Catholic education. Sr. Dale explains, “A principal is the academic leader, business manager, and faith leader.” This means that an excellent principal needs to be good at all three things: curriculum development and teacher evaluation; administration; and faith formation. As such, new and emerging leaders are expected to be well-prepared in the academic and business aspects of their role, but they also must be comfortable serving as the faith leader of the school and ensuring that the Catholic identity of the institution remains strong, because ultimately, that is the fundamental difference between Catholic schools and other education options. Today, the schools are looking for shepherds to become the new faces of Catholic education, leading with knowledge and understanding as the Bible proclaims. 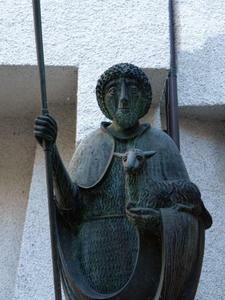 And, as witnessed at Maryvale, Mount St. Joe’s, and St. Thomas Aquinas, there is evidence that such shepherds are sent. This article was adapted from a 2012 article Medinger wrote for the Knott Foundation’s family newsletter. This summer I spent some time at the University of Notre Dame in Notre Dame, Indiana working on my master’s degree. In my nonprofit management class, entitled “Leading for Social Impact,” we discussed the unique demands, expectations, challenges and opportunities of managing to success in the nonprofit context. 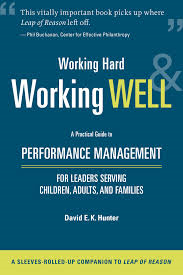 As part of my class, I read Working Hard and Working Well by David Hunter. Described as “a sleeves-rolled-up companion to Leap of Reason,” Hunter’s book picks up where author Mario Marino left off by sharing how leaders, managers, staff, funders, and consultants can better understand and implement a performance management culture. Hunter follows Marino with the “how to” guide for making a successful leap. He says it’s all about becoming an organization that manages to performance. Performance management has struggled to take hold in the social sector, perhaps because of the top-down, command-and-control approach many managers take to making improvements. Hunter dubs this form of performance management “compliance management,” saying it’s better for driving activities, not results. To articulate the recommended approach, Hunter outlines three pillars of performance management: performance leadership; management systems; and information and knowledge production. Related to the first pillar, an important distinction in Working Hard, Working Well is the difference between an operational leader and an operational manager. Operational leaders continually challenge the status quo, inspire others, and drive their concerns downward. Operational managers, on the other hand, align with the vision and priorities articulated by the leader, deploy resources to sustain excellence, and channel the leader’s concerns into productive work and high standards. Reading this book, I learned that performance management is the relentless pursuit of “making it better.” Yet moving to this culture of continuous improvement is not an easy road. It means shifting perspectives: from data as a burden, to data as a useful tool; from functional program silos, to cross-functional teams; from fear of breaking rules and patterns to support for making mistakes and trying new strategies. The point is that the world is (and probably will always be) messy and complicated. On top of that, social change is and will continue to be even messier and more complicated. But there are tools we can all use to respond and be ready – strategic clarity and measurable outcomes being among them. With these tools in hand and Hunter’s road map for performance management, we can all hold hands and take a “leap of reason” toward greater impact by working hard and working well. This is the second in a multi-part series about how St. Francis of Assisi School, a small K-8 neighborhood Catholic school in Baltimore City, started an after-school STEM Club on a shoestring budget. A common misperception about STEM (Science, Technology, Engineering, and Math) is that only schools with elaborate science labs and large budgets are suitable sites for STEM. The reality is that there are many projects and activities that can be implemented successfully in a school with limited space and limited resources. The crucial ingredients are commitment and imagination. We are a small Catholic elementary school located at the northeastern edge of Baltimore City. Our mission is rooted in the example of St. Francis, who promoted the virtues of a selfless life dedicated to serving the world around him. Drawing on the spirit of our patron saint, we form children for a life of scholarship, spirituality, and service. Two years ago, Dr. Sandra Young, a parent volunteer and STEM educator by profession, stepped forward to create an after-school STEM Club here at St. Francis. To our delight, 60 of our students signed up for the after-school club. Dr. Young and her team of helpers organized activities, sought grants, promoted attendance at weekend competitions, and managed the lively Thursday afternoon gatherings. Our students have built robots, learned computer programming, tested chemicals, experimented with “snap circuits,” designed models, and more. This year, they will explore the world of 3-D printing, which was made possible by support from the Knott Foundation. “Total Participation/Hands-on Engagement.” All students are actively involved at all times. There is no opportunity to be passive recipients of information. Students learn by doing. Cooperative Learning: If you have ever watched a reality competition such as Project Runway, you know that being able to collaborate successfully with others is considered essential for today’s workplaces. Some cooperative learning activities in classrooms can seem artificial or contrived. Not so with STEM. The collaboration is real, and it is ingrained in the STEM experience. Students learn to negotiate and to understand different perspectives. They learn to communicate clearly because that is how teams accomplish things together. Craftsmanship and attention to detail: Precision matters in science and design. When a measurement for a bridge span is a few millimeters off, or a circuit is connected the wrong way, the whole project is weakened. Students don’t learn this by being told to be precise. They learn it through action. Education is most successful when students are so curious and actively engaged that they move into a “flow” state, oblivious to the passage of time and eager to continue learning. As a principal, I am delighted to observe the energy and interest of a STEM Club session. Begin with what you have. Don’t wait for the perfect time or the perfect setting. Our school has no science lab and very little storage space ... but we are across the street from a beautiful wooded park. The kids love to get outside and mess around with dirt and plants and rocks. Our classrooms are small, but it is amazing how much good work can happen on a desktop or in a circle on the floor. Given the choice between a shelf full of construction materials or a shelf full of aging grammar textbooks, the decision is a clear one. Connect with community resources. Do you have a university nearby that would allow a visit to their engineering labs? Is there a community group that does stream clean-ups or wastewater monitoring? Do you have parents who work as engineers, as plumbers, as artists, as pharmacists, as computer programmers? Let them come show students how they use science, technology, engineering and math in their daily work. Make it fun and engaging for the adult volunteers too. I love bringing a visitor into a room where STEM activities are happening. They watch intently and often whisper to me something along the lines of “This is so cool!” Adults who are innately engaged by the activities, but who know how to step back and let the kids take the lead, end up finding STEM club to be a creative break from their regular routine. Go where the energy is. Seek grants, make wish lists, and allow your supportive community to step in and help you make STEM a priority. When committed educators say they really want to bring something special to their students, there are friends of the school who enjoy helping out. PTAs, neighborhood groups, grandparents -- all are looking for ways to show their support for your students. So don’t be shy -- show them something really cool that they can be a part of! Tell your story and celebrate the adventure. We love to post photos and videos on Facebook and Twitter. It is completely free, takes only a moment, and lets the community know, simply and quickly, about the great work that our kids are doing. We are fortunate to have Dr. Young spearheading our STEM initiative. I would bet that in every community, there is someone -- be it a teacher, a parent, a neighbor -- who thinks STEM activities are just about the coolest thing there is. Find that person, befriend them, and give them your support in whatever way you can. You won’t be disappointed. Rebecca Malone is the principal of St. Francis of Assisi School, a K-8 Catholic school in northeast Baltimore. She holds a bachelor’s degree in Religion and English from Harvard University and a master’s degree in English Education from Columbia University. She has served as the principal of St. Francis since 2010. I recently read Quiet: The Power of Introverts in a World That Can’t Stop Talking by Susan Cain. Cain defines introverts as those who “have a preference for a quiet, more minimally stimulating environment,” conditions that are often undervalued and hard to find in the loud world in which we live. 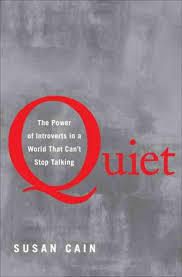 According to Quiet, at least one-third of the people we know or are associated with are introverts. These people might prefer listening to others rather than speaking, staying home with a good book, or watching a television show rather than going out to a party and socializing with friends. In other words, they recharge by “going quiet.” As a result, these individuals are often stereotyped as being shy, socially awkward and ill equipped for leadership roles. Cain encourages us to take a step back from the stereotypes and consider the power of different styles in affecting change, innovating new ideas and leading organizations. In her book, Cain emphasizes how our culture often misunderstands the traits and capabilities of introverted people in communication, the workplace, school and at home. She points out that we owe many of society’s great contributions to introverts, and that great leadership can come from either introverts or extroverts. For example, in her research Cain found that introverts excel at leading proactive employees because they have a tendency to be better listeners and consequently let good employees run with their ideas. Extroverts, on the other hand, are often better at leading more passive employees because extroverts have a knack for motivating and inspiring others. Quiet does not support one way of being over another. It sees the value in both traits and encourages the reader to do the same. It is quite possible that the quiet, shy, unassuming person sharing an office space with you, sitting across from you at the dinner table, or staring at you in the mirror, may just be the next Einstein, Rosa Parks or Warren Buffet -- all introverts. In closing, whether you are an introvert or an extrovert, when reading this book you will benefit from the insights and the power to permanently change how we see introverts and, equally important, how introverts see themselves. This is the first in a multi-part series about how St. Francis of Assisi School, a small K-8 neighborhood Catholic school in Baltimore City, started an after-school STEM Club on a shoestring budget. 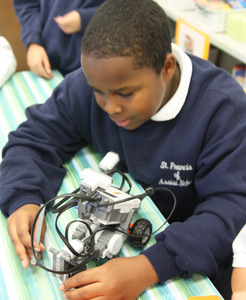 In the 2012-13 school year, St. Francis of Assisi School started an after-school STEM Club to get kids excited about STEM fields – science, technology, engineering and math. As a professional scientist and an active parent volunteer, I worked with our principal, Rebecca Malone, and two lead teachers to start the club. Together we conquered everything from recruiting students, to planning activities, to raising money, and engaging more parent volunteers. STEM subjects foster critical thinking skills, which are used throughout life no matter what career path a student takes. Moreover, new science standards focus on project-based learning where the intent is for students to utilize basic book knowledge but demonstrate more creativity in applying what they know. It has been shown that non-formulary learning like this is important for students to develop problem-solving skills. 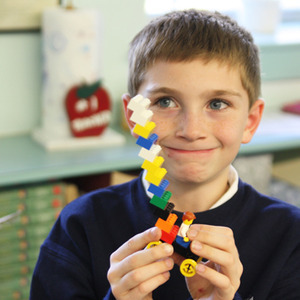 Much to our delight, the STEM Club became a popular after-school activity. Approximately 40 students signed up in our first year – a significant number given that it represents nearly one-fifth of our total school population. Now in its second year, the STEM Club has grown to more than 60 students. Interestingly, I heard from many parents who said their children were excited to sign up because their friends had talked about how much they were learning and how fun the experience was. In starting our own after-school STEM program, we learned the importance of good planning, student and volunteer engagement, and community involvement. Here are some ideas that have come from our work thus far that might help other interested parents, teachers, and principals start their own STEM Club on a “shoestring” budget. Recruit plenty of adult volunteers. In addition to dedicated teachers, you need at least as many parents. A decent adult-to-student ratio helps to ensure that activities run smoothly. Yet it’s important to realize that adults don’t need to have all the answers – it’s OK to say to the kids, “I don’t know but I bet you can figure it out!” Volunteers don’t even need a science background; it’s more important that the individuals leading the club be organized and willing to learn some of the STEM topics alongside the kids. You’re never too old to learn new things! Plan the entire year’s activities. Having a general layout of what you’re going to do with the students for the entire school year may sound daunting, but it's easier to make changes to an existing plan along the way than come up with an entirely new plan at the last minute. It is also a good idea to have materials available for back-up activities, in case they are needed. Focus on activities not in the traditional curriculum. An after-school program is a good opportunity to focus on things not learned in the traditional curriculum such as robotics, Rube Goldberg machines, snap circuits, computer science unplugged (you don't even need a computer to do CS unplugged), etc. While many of these activities have initial start-up costs, the materials are reusable. And from an educational standpoint, any focus on non-formulary work is good if the students can be kept on task. Set goals. Developing short, medium, and long-term goals for our STEM Club helped keep us focused on where we were headed. Encourage students to reflect on what they learn. We recently decided to have our students bring a lab notebook at the beginning of the year to write down their thoughts and ideas about the project(s) throughout the year. Network with others. You aren't in this alone. Talk to other teachers, parents, and science professionals. You never know where your next idea (or next grant) will come from. Approach everything with a good sense of humor. Things do not always go according to plan. Just remember that the students are there to learn and have fun. Sandra “Sandy” Young is a Materials Engineer by training and currently serves as a Program Manager for the U.S. Army Education Outreach Programs and the Aberdeen Proving Ground STEM Center in Maryland, which provides programs in science, technology, engineering and math for K-12 and college students. She holds a bachelor’s degree in Chemistry and a Ph.D. in Polymer Science and Engineering. She is also a proud parent of a second grade student and an active volunteer at St. Francis of Assisi School. Learn more about Sandy by reading an article or viewing a video of her work as a STEM educator. By Laura Corbin Frazier, Ed.D. I first met Knott Foundation Executive Director, Kelly Medinger, in a small Catholic school that was expanding its technology resources. The Knott Foundation and Mount St. Mary’s University were partners with the school in this growth; the Knott Foundation with much needed funding and the university with professional development collaboration. However, on that day and in subsequent discussions, our focus was not on specific technology tools, but instead on instructional decision-making using technology. The Knott Foundation makes numerous decisions regarding grant applications each year, many of which include requests for specific technology infrastructure. But there are also a growing number of requests for one-to-one computing initiatives (one mobile device for each student). These requests parallel current demands for increased student readiness with 21st Century skills and a growing number of success stories from states, districts, and classrooms using mobile devices to enhance student learning. My research agenda includes technology integration in schools, which necessarily encompasses one-to-one computing. The Knott Foundation, seeking research on the effectiveness of one-to-one computing initiatives to both inform their own work and support others in education, provided me the opportunity to review research on one-to-one computing initiatives and to engage in a research study on teacher technology decision-making in a one-to-one iPad initiative. The linked article is the product of the first phase of that research and summarizes my findings from review of nearly 100 research studies and reports. The article highlights ten key considerations for technology decision-makers, with a specific focus on those new to one-to-one computing initiatives. In my discussion of each consideration area, I have highlighted current research findings that influenced my recommendation. Additionally, I have provided a list of online resources with how-to guides, success stories, and strategies to further support those beginning a one-to-one initiative. What are the impacts and gains for an institution? Is student achievement likely to improve? What are new requirements of students and teachers? Are there advantages/disadvantages to using different technologies? Do the benefits support the costs? The article aims to synthesize research on these and many other common questions associated with one-to-one computing into the ten most prominent considerations for decision-makers. I hope you find the article both informative and useful. Laura Corbin Frazier, Ed.D., is an Assistant Professor of Education in the School of Education and Human Services at Mount St. Mary’s University in Emmitsburg, Maryland. Dr. Frazier specializes in instructional technology and distance education. Her research interests couple these areas with new teacher preparation and professional development schools. A provocative thesis about who is driving technological innovation – people or technology itself? 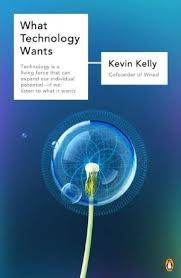 I recently read What Technology Wants by Kevin Kelly, one of the co-founders of Wired magazine. In my role at the Foundation, I regularly encounter a broad spectrum of nonprofits who are seeking funding to pursue technology related projects. While this has afforded me a clear picture of what technology these organizations want, the picture is less clear and far more intriguing when I think about the concept that technology might, in fact, want something from us. Published in 2010, Kelly’s book and the theories contained within have been described as “provocative,” “revolutionary,” and “balderdash.” In What Technology Wants, the author promotes the thesis that technology has traveled an evolutionary path in much the same way as biological evolution; describing technology as a “near-living system” and an “evolving organism.” In sum, much like our own evolution, technology’s evolution is “inevitable” and constantly adapting through the selection of useful traits. While many, as did I, will find his theory a bit thin at times, I did find his notion that as much as we choose technology, technology is choosing us. Kelly does however offer some persuasive examples to support his claim. One example that resonated with me was his description of the thousand plus years of evolution in rail lines. He writes that Roman roads which were specifically sized to accommodate war chariots were translated into the British railroad system and subsequently developed into rail tracks in the United States. It was amazing to learn that ancient Roman roads measuring 4 feet 8 ½ inches wide, designed to carry war chariots, had jumped continents and were being deployed in the same specific measurement to carry fuel rockets that power the space shuttle today. While I am not sure that I agree that this evolution was “pre-ordained,” I must admit, I was intrigued by the notion that technology changes in part because it is learning from humankind, evolving alongside of us every day, and perhaps even choosing us and how we use it. What Technology Wants was a groundbreaking book when it was released and continues to be a challenging and fascinating read four years later. Whether you ascribe to the author’s almost mystical belief that “just as water ’wants’ to flow downhill and life tends to fill available ecological niches, technology similarly ‘wants’ to expand and evolve,“ it is undeniable that technology does indeed expand and evolve. The challenge is to not recoil in fear, but to contemplate this evolution and decide what value and virtue there is for creating common good. So, when you reach for your next iPad or cell phone, or load your next app, you may want to consider whether you are making the choice, or, if you are being chosen. As for myself, I will continue to consider the inevitability of technology, be excited and awed by its possibilities, and cultivate preparedness for the rise of the machines! I was captivated this summer by Mario Marino's Leap of Reason Update on profiles in courage. In it, Marino describes a sort of "humble, courageous leadership" that is required for solving big social challenges. Part of this type of leadership, one could argue, involves knowing when outside expertise is needed to help your organization get to the next level, and then finding and engaging that expert to help you get to where you need to be. Enter Impact Rising, a new site funded by three prominent Bay Area foundations that seeks to elevate the quality of consulting in the social sector. Impact Rising describes how consulting in the social sector has evolved from a "largely unregulated, under-the-radar, word-of-mouth cottage industry" into a market-driven industry with broadly accepted norms and practices. The site acts as a repository for these norms and practices "so that nonprofits, NGOs and foundations don't have to reinvent the wheel." Impact Rising offers a plethora of tools and resources to help nonprofits and their consultants -- everything from how to determine whether you're ready to hire a consultant, to sample RFPs and consulting budgets, to lessons learned from others who have been through specific consulting projects. Yet Impact Rising doesn't stop there. The site goes beyond typical consulting advice to offer the very plans and templates that you can use on your own to build capacity within your own organization. Think strategic planning resources, fundraising plans, organizational assessments, and communications advice. The end result is a great resource for nonprofits and consultants alike who want a one-stop shop for some of the best resources on the market today. 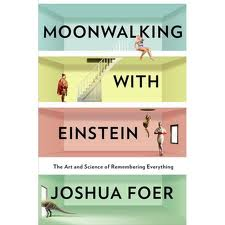 I recently read Moonwalking with Einstein: The Art and Science of Remembering Everything by Joshua Foer. Foer was a journalist and, being a journalist, he needed to know a little bit about a lot of things. For several years he followed the U.S. Memory Championship tournaments and wrote articles about the competitors. One day, a tournament champion asked him if he wanted to learn how to memorize. Moonwalking with Einstein is about Foer's resulting yearlong quest to improve his memory and transform his understanding of the human brain. Memory is all about technique and understanding how the brain works. Foer believes anyone can have a good memory; it is simply a matter of learning to think in more memorable ways. Everything that you pay any degree of attention to is recorded in a permanent part of your brain. A memory only comes into consciousness if it is cued by some other thought or perception. In the book, Foer explains that when a person's name gets caught on the tip of your tongue, your memory is frustrated. He says you need to think of some piece of information to try to link that person's name in your memory to your consciousness. You can use this same concept for remembering events by positioning them in time relative to other life events. In his quest to master his own memory, Foer learned that he could train his brain, but also that he needed to be more mindful of the world around him and take notice of everyday life. Notably, after a year of exploring the field of human memory, he competed against twelve other contestants and won the U.S. Memory Championship. Foer believes we don't need to acquire a better memory -- we just need to use the memory we have more effectively. Last year, we invited you to participate in a national research survey exploring the role of executive directors and development directors in nonprofit organizations. The result of this survey is the report, UnderDeveloped, a joint project of CompassPoint and the Evelyn and Walter Haas, Jr. Fund. Given the Knott Foundation's support in the area of fund development -- we have helped organizations with fundraising salaries, activities, and infrastructure needs -- we had a particular interest in the findings of this report when it was released earlier this year. The report addresses the widespread concern in the nonprofit sector about premature turnover of development directors, lengthy vacancies in the role, and the seemingly thin pool of qualified candidates to choose from. Ultimately, the authors suggest that classifying the issue as a "talent pool" problem alone is misguided. Instead, they assert that we also need to focus on "entrenched organizational factors that contribute to the inability to establish development as a shared function and nurture organizational culture to sustain it." The resulting "call to action" is multifaceted. 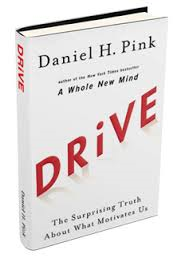 Drive: The Surprising Truth About What Motivates Us describes the evolution of motivation, from survival in the beginning of time, to a structured system of reward and punishment, to an emerging economy based on self-direction and the value of ideas. Most people still believe that the best way to motivate is with money. Pink refutes that notion. "On the edges of the economy -- slowly, but inexorably -- old-fashioned ideas of management are giving way to a newfangled emphasis on self-direction," he observes. Pink describes this new motivation as one where people are not incentivized by economic reward, but rather the satisfaction that comes from directing their own lives, learning and creating new things, and doing good. To adapt to this new system of motivation, Pink argues, people need autonomy over the four T's: task, time, technique, and team. "Control leads to compliance; autonomy leads to engagement," he states. In the end, Pink exposes a gap between what science knows truly motivates us and what business actually does. (Take the billable hour, for instance.) He challenges us to embrace this new system of motivation and adapt our business practices to fashion a more fulfilling work environment based on principle, not precedent. 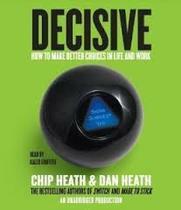 In yet another insightful and practical read presented by the Heath brothers, Decisive provides a thought provoking analysis of our often narrowed and flawed approach to making decisions in all aspects of our lives. The book makes this case by providing intriguing examples that flow from the daily struggles of everyday people to nonprofit leaders and CEOs of Fortune 500 companies. The authors argue that all too often we approach our decisions from positions of over confidence bolstered by limited and highly selective information gathering. To address this reality, they challenge us to Widen our options, Reality-test our assumptions, Attain distance before deciding, and Prepare to be wrong as we work through a decision. This WRAP process takes the decision maker outside of their biased comfort zone and encourages them to look for real and often unimaginable options. One simple and easily deployed component of WRAP is the 10/10/10 exercise for "attaining distance before making a decision." When you take the time to envision your decision and how you will feel about it 10 minutes from now, 10 months from now, and 10 years from now, you can gain an almost immediate perspective on something that might appear overwhelming when first considered. It is a simple tool that might just help calm the gut and instill a sense of rational confidence in life and work. Who Do You Want Your Customers to Become? explores how successful innovators reinvent their customers as well as their business. For example, Henry Ford is widely hailed as an innovator of the auto industry because his factory assembly model created new drivers, not just new cars. His story is one example of how innovation made the customer better, and in turn made better customers. Perhaps one of the more salient examples of our time is Khan Academy, which is now the largest "school" with 10 million students who access free online instruction on a myriad of subjects. Khan Academy is revolutionizing the education industry and how "customers" approach knowledge and learning. 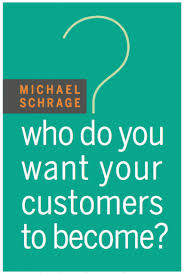 So the question becomes: who are your customers and how can you transform how they consume your product or service? In the nonprofit sector, we often ask that question with the end goal of creating a better world and fostering a more healthy, educated and just society. But how often do we completely reimagine our customers' situations, look past what they are asking for, and create something totally new and innovative? Something that transforms how our customers think, behave, adapt and grow? In the end, Schrage pushes the reader to envision a world where innovation aims beyond products or services to touch the very nature of human experience. Fundraising & Sales: Two of a Kind? How does for-profit sales and marketing compare to the world of nonprofit fundraising? While there are distinct differences, most notably in the "mission" vs. "bottom line" objectives, there are many similarities as well. Veteran fundraiser Tony Poderis highlights these similarities in his recent article, Sales Professional to Development Professional: A Workable Transition. Poderis' 35 years in fundraising and 19 years in sales and marketing for General Electric Company make his perspective especially noteworthy. "It is unfortunate that far too few non-profit and non-government organizations see the close parallel between the role of a fund-raising professional in the non-profit community and a sales professional in the business world," comments Poderis. He cites the high demand for experienced development officers yet often shallow pool of candidates, and he points to interested sales professionals as a potential new source of talent for the fundraising profession. Poderis' article includes a lengthy list comparing for-profit and nonprofit terminology, which is especially helpful for those considering a transition from sales into fundraising. For example, a "sales and marketing plan" becomes a "fund development plan" in the fundraising arena, and "market area" is referred to as "constituency." Vocabulary aside, Poderis asserts that the professional who has sales experience in the for-profit world "will almost always have (or should have) a distinct advantage in being considered for a job in non-profit development." The basic premise of Give Smart is that philanthropists making smarter decisions achieve better results. And it is worth noting that achievement and results in the field of social impact come from a place of humility, not arrogance. The authors are quick to point out, "Having money is not the same as having answers." So, in the context of the complex world in which we live, how does one make "smarter decisions" that lead to these "better results"? In the world of strategic planning, it seems the term "long range" is being re-examined. "With the accelerating rate of change, it's more important to be strategic in your planning than long range," shares nonprofit consultant Bill Hoffman. He argues that the five or ten-year strategic plan model is outdated in today's fast-changing environment, and that nonprofits need to adapt their approach to strategic planning to fit this new paradigm. Hoffman's article, "Entering the New World of Strategic Planning," suggests a two-year plan with a midterm review as a new standard. He even proposes tying a strategic plan to a board chair's term, therefore giving that person more ownership of the process and implementation. The article goes on to provide four steps for developing a great strategic plan: (1) get input; (2) uncover themes; (3) agree on priorities; and (4) set measurable goals. The importance of planning for the future will always be paramount. But as the future takes new shape each and every day, we will continually be challenged to adapt and respond to the world around us. 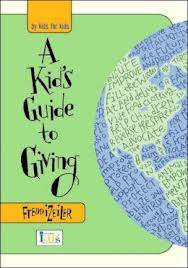 I recently picked up A Kid's Guide to Giving by Freddi Zeiler. Freddi was a normal 13-year-old. She went to school every day, came home, did her homework, played sports, and had dinner each night with her family. Meanwhile, watching the news on television she saw children who did not have the usual things in life she and most of her friends enjoyed. So, she started looking into how she could help children across the world who could not go to a doctor when they were sick, or did not go to school, or sometimes went to bed hungry. Initially, Freddi decided she wanted to help by donating money from her piggy bank, but she didn't know where to start. She began doing research and learning whatever she could to find a cause she was passionate about. The result was this book, A Kid's Guide to Giving. Freddi's advice, while geared towards children and teens, is an excellent introduction to charitable giving for any new donor. Through her work, Freddi discovered ways she could help beyond donating money, such as volunteering in a soup kitchen, picking up trash in a local park, helping an elderly neighbor, or teaching children how to play a sport. Ultimately, this book is both heartwarming and practical for those who are interested in making a difference or simply learning about the many ways in which donors, volunteers, and nonprofit organizations improve our community. As a funder, we place a high level of importance on seeing 100% of board members contribute personally to a nonprofit. Board members' involvement in fundraising plays a significant role in a nonprofit's fundraising success. In a recent article entitled "Majority of Nonprofits Reached Fundraising Goals in 2011," the Chronicle of Philanthropy's Raymund Flandez reports how charities were able to increase their funding in 2011: "Most nonprofits attributed their success to taking advantage of online fundraising tools, relying on diverse sources of money, and encouraging their board members to take their role as fundraisers more seriously." 35% of nonprofits set a minimum figure for a required donation by board members. The average amount required was $5,000. Arts and culture groups were most likely to require a minimum gift (57% did so), whereas religious groups were the least likely to impose such a requirement. Education groups requested the highest gift amount from board members, while human service groups requested the lowest. For a visual snapshot of this data, click here. And, for further reading on the importance of board members' personal giving, check out Bridgestar's rationale. Does Technology Keep You Up At Night? A recent survey asked school administrators what keeps them up at night. The top responses were "adequate funding" and "staff morale." But the next response, above even "communication with parents," was "the use of technology in instruction." Does technology keep you up at night? Do you have the data you need to create and inform technology initiatives for 21st century learning that meet students' expectations and needs? Enter Project Tomorrow and the Speak Up National Research Project. In fall 2011, over 416,000 K-12 students, parents, teachers, and administrators participated in the online Speak Up survey administered by Project Tomorrow, a national education nonprofit group. The data from this survey is used to inform policy leaders at the national and state levels while also providing individual schools and school systems with a better understanding of issues important to students, parents, and educators about the role of technology for learning in and out of school. 1 in 10 students in grades 6-12 have sent out a Tweet about an academic topic that interests them. 30% of middle school students and 46% of high school students have used Facebook as an impromptu collaboration tool for classroom projects. Almost two-thirds of parents (62%) say that if their child's school allowed the use of mobile devices for instructional purposes, it is likely that they would purchase such a device for their child to use at school. This view was nearly identical in low-income (Title 1) and non-Title 1 schools. Click here to read a full copy of the report. And, if your school is interested in participating in the next Speak Up survey and receiving free access to the findings, please check the Speak Up website this fall when new survey data will again be collected. In the field of philanthropy, as in any industry, buzzwords come and go. One year a needle is moved and the next, an impact is leveraged. 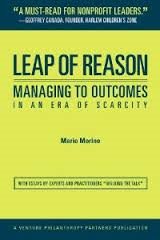 Most recently the buzz is loudest around the word "outcomes" and, based upon a reading of Leap of Reason by Mario Marino, the buzz is here to stay... and for good reason. I will admit that I approached the book with an arched brow and a pit in my stomach, as I was imagining a treatise on expensive IT systems and the need to collect granular levels of quantitative data. By the end of this collection of essays, however, I was reassured by Marino and the other authors' honesty and willingness to clearly convey why this work is so important to the communities we seek to serve. Without the hard work of managing to outcomes, how can we say if our work is smart work -- work that is truly impacting our missions? The book emphasizes that this work does not demand expensive data collection systems and complicated logarithms to be meaningful; in fact, small may not only be beautiful, but if carefully designed and clearly articulated, it can be impactful as well. An organization's ability to manage to outcomes largely rests on its willingness to do the hard work required, ask the tough questions, and commit to understanding just why we are doing what we are doing. What types of behavioral traits are you looking for in your next hire, and how do you know when you've found that person? Behavioral assessments (also called personality tests or predictive evaluations) are increasingly being used in the business sector for hiring, team building, professional development, leadership identification, coaching, and conflict resolution. This practice recognizes that hiring is about more than finding a qualified candidate for a slot -- it is about finding a "multi-level match," according to the wisdom of Dr. Todd Harris, director of research at the human resource consulting firm PI Worldwide. A "multi-level match" is described as the ideal fit between a person, a job, a supervisor, a company or organizational culture, and the surrounding community. An effective use of behavioral assessments begins with an understanding of the roles within an organization and what types of people are most successful in those roles -- that is, the specific behavioral characteristics of a good executive director, finance person, development professional, social worker, or database administrator. Once these roles and characteristics are defined, it is possible to use behavioral assessments to test job candidates against the desired behavior pattern. For example, a development director may need to proactively connect quickly with others and also be able to enthusiastically persuade and motivate others. These desired traits would be revealed in a behavioral assessment. Who are Some Behavioral Testing Resources? A recent article by Kay McFadden on Inc.com entitled "7 Tips for Using Personality Tests to Hire," explores various reasons to consider using behavioral assessments in a company or organization. McFadden points out that they often add perspective, balance, and fairness to the hiring process. She also mentions resources such as Hire Success and PI Worldwide's Predictive Index System, noting that many testing consulting agencies now tailor their products especially for small businesses. In the end, when combined with interviewing, reference checks, and work samples, a behavioral assessment can help answer the question: Will this person be successful in the role I have defined for them, and will this person fit within our organizational culture? Are you trying to answer this question at your own organization? If so, it may be worthwhile exploring the use of behavioral assessments in your employee selection, retention, and professional development efforts. Switch: How to Change Things When Change Is Hard offers practical advice for how to appeal to both our rationale and emotional sides in order to affect change, be it changing the world or simply changing a bad habit. Of particular note was the chapter entitled "Shrink the Change," where the authors recommend focusing on small milestones that are attainable and visible, rather than on the eventual destination, which may seem very remote. This approach is especially relevant to the nonprofit sector, where many are working towards large-scale change yet can fuel their motivation by celebrating small-scale successes along the way. In the end, Switch introduces a pattern for successful change through an engaging and story-driven narrative. A great read all around!